We have dedicated our time to methodically learning how to create the best outdoor spaces. By practicing a combination of technology, design, and customer service, we are in the business of exceeding your expectations. We invest our talent and time to understand what a successful project looks like with you, and form ﻿strong partnerships﻿ with the best suppliers in the business to collaboratively create the perfect outdoor environment. We’re excited to get started. 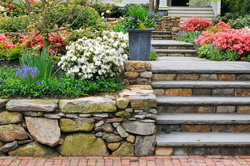 As skilled gardeners, we love to bring homeowners’ properties to life. We design and install gardens and landscapes to beautify leisure spaces, soften the lines of hardscapes, and create personal spaces for enjoyment and relaxation. Spring and Fall Cleanups are an essential component of any landscape care program. 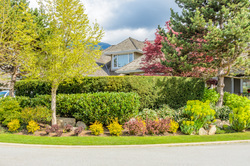 To ensure your property is consistently lush and healthy, give us a call to schedule our services and ensure your landscape always has the growth-promoting care it needs. Using natural stone and concrete products, we have perfected our techniques in designing and installing unique outdoor living spaces. From intricate mosaic pathways and driveways to welcoming stone patios and fire pits, your imagination is the limit to what we can create. 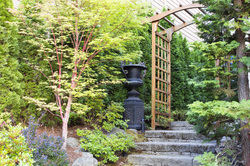 Do you want to spend those few hours you have at home maintaining your garden? Let the professionals handle it! Using our horticultural knowledge, we take our time to ensure your property always looks its best.